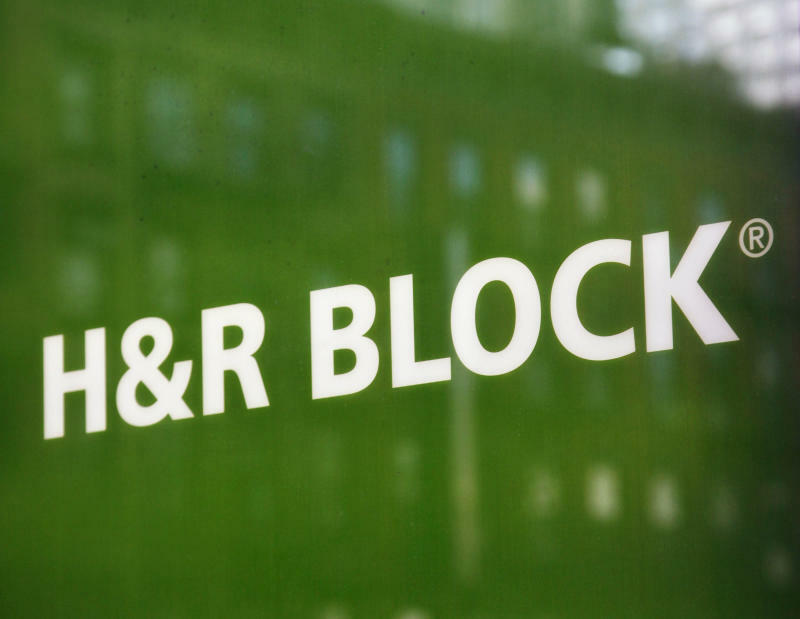 For close to 60 years, Americans have trusted H&R Block Inc. (HRB) to help them navigate government mandates, seeking the company's guidance in figuring what they owe in taxes or are entitled to in refunds and credits. With the Affordable Care Act now taking effect, a vast new set of complex, government-ordered responsibilities and benefits is in place, largely enforced through the tax-filing process – and H&R Block is well-situated to usher consumers through it all. CEO Bill Cobb points out that, for a company in the business of helping citizens comply with government rules, “complexity is opportunity.” And this is just one factor shifting in the company's favor as we head into the new year; Block shares have already gained more than 50% in 2013, winning an honorable mention in Yahoo Finance’s comeback stock of the year feature. The Kansas City-based company isn’t banking on Obamacare to become a big, instant growth business in 2014. Still, “it looks like it will be a net benefit to H&R Block,” Cobb said in an interview this month, after an annual meeting with institutional investors – at which most of the Q&A centered on healthcare. Cobb says that, by the company’s initial estimates, more than a third of H&R Block clients “seem to be eligible for a subsidy.” Important, too: Everyone receiving a subsidy will be required to file a tax return, whether they have worked the prior year or not, expanding the pool of potential Block tax-prep customers. Those who fail to enroll in a qualified insurance plan will have to pay a penalty, also administered through the tax-reporting process and, in many cases, paid via reduced refund. The company entered a partnership with GoHealth LLC, an online health-insurance platform, to enable individuals to shop for insurance plans. The service carries no additional fee for users, with Block and GoHealth simply sharing a commission on new policies purchased. H&R Block has also introduced the somewhat cutesy tag word “Helpth,” combining “help” and “health,” to offer health-plan assessment and enrollment services. In the healthcare realm, 2014 will mostly be an exploratory, groundwork-laying year for the early-2015 tax season, when subsidies and penalties will be sorted out in earnest for the first time. It’s a bit ironic that vexing bureaucratic complexity is a plus for H&R Block’s business, given that its results and share price have been revived over the past year by Cobb’s efforts to simplify the company’s once-confused structure and strategy. Cobb was hired as CEO in May 2011, as H&R Block was struggling under some costly bets made years earlier in an effort to become a sort of financial supermarket encompassing mortgage lending, stock brokerage and business tax services. He set about refocusing the company on its core tax-preparation franchise and products directly linked to individual tax-filing services, such as its Emerald prepaid debit card and, now, health-insurance planning. The company is awaiting Federal Reserve approval to shed its mortgage-origination subsidiary, a move that will free up more capital and allow Block to buy back ts shares more aggressively. For what is essentially a 12-week-per-year business, H&R Block has a vast business footprint, with 10,000 branches across all 50 states. Cobb likes to point out it has more retail locations than either Dunkin’ Brands (DNKN) or Walgreen Co. (WAG) — and indeed the ubiquity of the Block brand is important in remaining top-of-mind for clients around tax time. Block prepares about one of every seven individual returns, and its customers account for about a quarter of all federal refunds disbursed. Though tax-prep services are commonly viewed as a potential victim of technology, thanks to cheap and broadly available software, the percentage of Americans who seek assistance in filing taxes has remained remarkably stable near 60% for the past decade. Young people, in particular, have little confidence about doing their own taxes. And, in any case, the ever-shifting tax code means demand for help will not likely subside quickly. Cobb says, “We’d like to be agnostic” about the particular means by which clients use the company’s services, whether through a $40 online-assisted return from home or a $140 in-office filing. Indeed, Block’s market share in online filings rose to 14.2% last year from 12.5% three years earlier, while Intuit Inc.’s dominant (INTU) TurboTax has ceded some ground. For many Block clients, their annual tax refund is the most significant financial event of the year, and the company now encourages them to have the money loaded onto the Emerald prepaid, reloadable debit card. The prepaid-debit market has ballooned in recent years as banks have added fees on smaller accounts, while acceptance of non-bank cards has soared. The Emerald card essentially offers all a bank-account card does, such as online statements and bill-pay, and direct deposit. The H&R Block Emerald MasterCard was one of only three prepaid cards rated as a "very good" deal by Consumer Reports. The company also offers "Emerald Advance lines of credit" marketed ahead of Christmas and due to be repaid within months, which are often a prompt for folks to make a prep appointment in the New Year. One larger drag on Block’s revenue in recent years has been the sluggish job market and, in particular, the decline in the labor-force participation rate from 66% in 2008 to below 63% last October. (A further decline is possible following the recent cessation of emergency unemployment benefits for 1.3 million people.) Unemployed workers quitting the hunt for a job or involuntarily retiring early have meant fewer tax filers. This trend is showing signs of bottoming as payrolls have expanded at a somewhat quicker pace over the past several months, which should mean a stable to slightly rising customer pool for Block in coming tax seasons. This, of course, is the best of reasons to have more people paying H&R Block to help with their taxes.